It’s time to talk about ducks on the Varmints! Podcast! Paddle on over and join us for watery fun, but do not send us a bill! Giant cardboard duck’s life on South Grand short after running afoul of the weather. Article courtesy of stltoday.com. You can see more of Justin’s work at Justin King Designs. Ducklings Jump fro Nest 50 feet in the Air! Video courtesy of YouTube user Nature on PBS. Duckling jump! Video courtesy of YouTube user Per-Finn Nielsen. Goth ducklings are not afraid. Why are a duck’s feathers waterproof? Article courtesy of howitworksdaily.com. 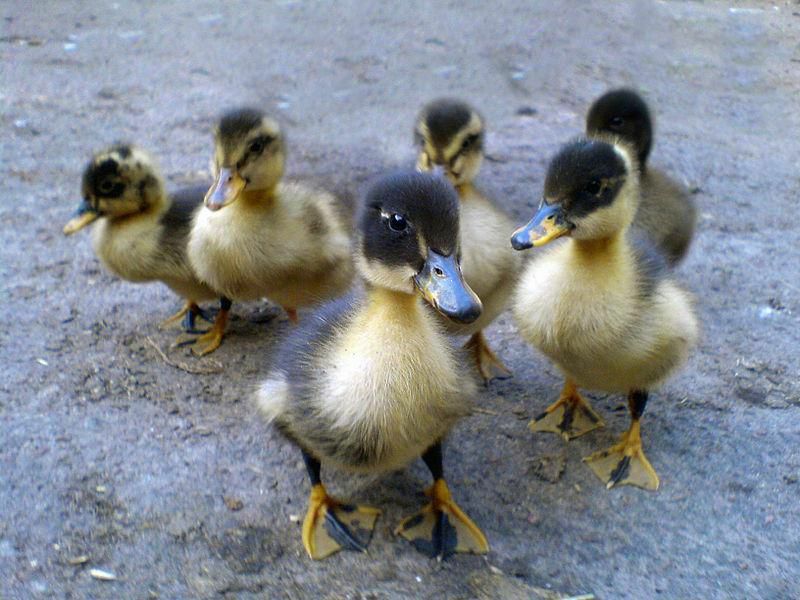 Defying Stereotypes, Ducklings Are as Clever as They Are Cute Article courtesy of Smithsonianmag.com. We’re in ur pond, categorizin’ ur objects. Rabbit Season, Duck Season trilogy. Video courtesy of YouTube user kenpoarniceguy1. Darkwing Duck Intro, video courtesy of YouTube user Lina Derpina. Redhead Hens: The Parasite Queen. Article courtesy of Ducks.org. Redhead hens are notorious for shirking brood-raising duties. Now you know a bit about ducks! What’s your opinion of them? We want to hear from you! Send us your suggestions for animals you’d like to hear us talk about, or just drop us a line about anything at varmintspodcast@gmail.com! We might even read your email on the show. Blazing Caribou Studios Donna Hume Ducks Paul Csomo Varmints!